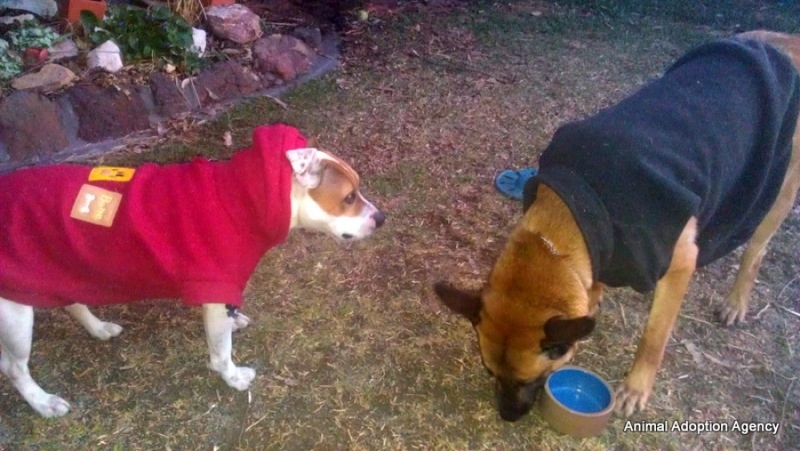 Here is a photo of Thor and Matilda with their winter night coats on. They are great mates and now have a lot of fun with balls. They steal them off each other when they are not paying attention.